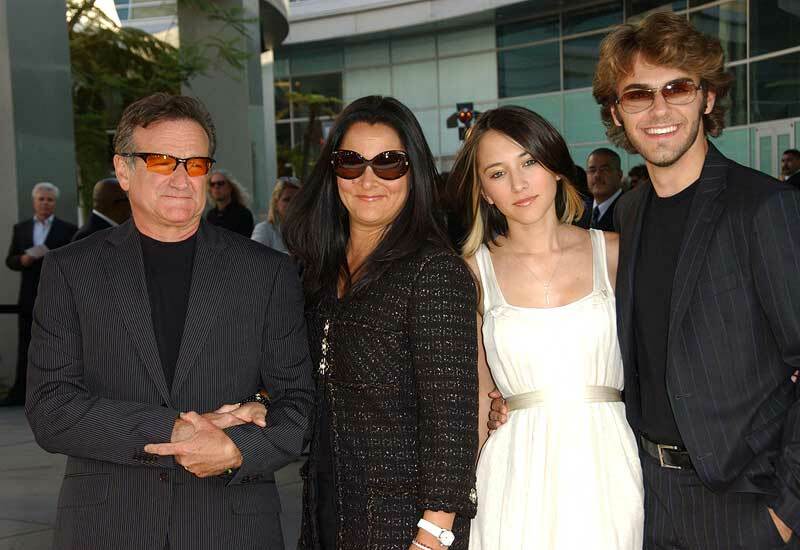 Yesterday I wrote a piece entitled, “Robin Williams: Finding the Silver Lining“. I rarely address celebrity deaths on my blog, but I found Williams’ death affected me more than I expected. 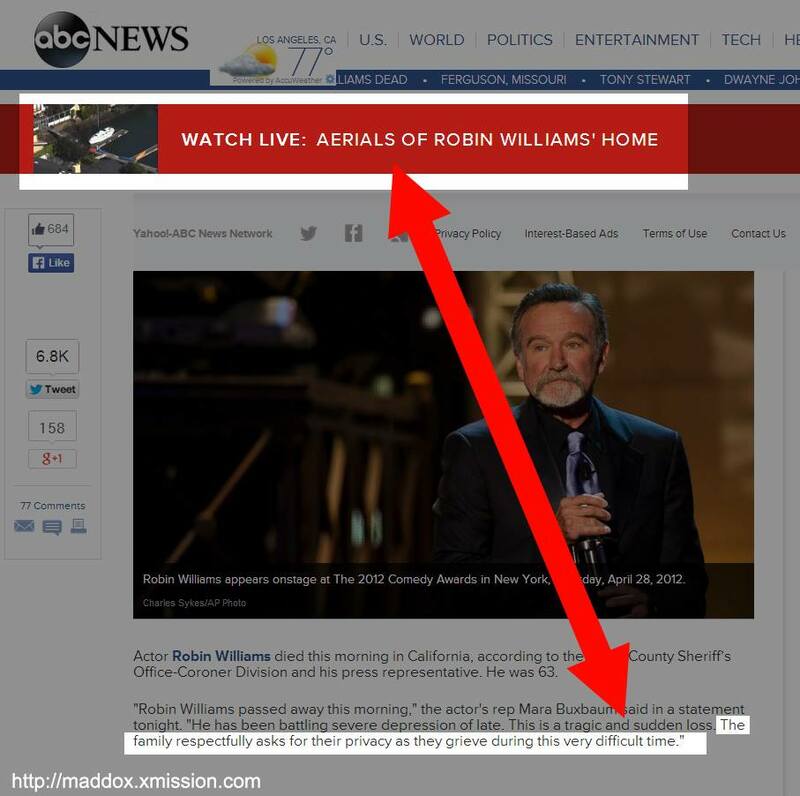 This morning I woke up and as I scrolled through my news feed I was surprised to see the details of Robin’s death trumpeted on nearly every news outlet. And again I found myself strangely affected. So I wrote this piece — from my perspective as a funeral director — on why Robin’s death, more than most, needs privacy. Church funerals often cause a proxemics dilemma. The dilemma comes into play in rare circumstances when the family wants the open casket in the front of church sanctuary. The way we solve the dilemma is by having the pall bearers come forward and surround the family, creating a human wall so to speak, which allows the family to let all their humanity out before the lid is closed. Celebrity deaths create the same dilemma. Grief that is meant to be private is watched and consumed by the public. Ideas, thoughts and feelings that are meant to be processed within the context of family and friends are now processed within the context of the public eye. We, the public, have also been told the manner of Williams’ death (suicide). 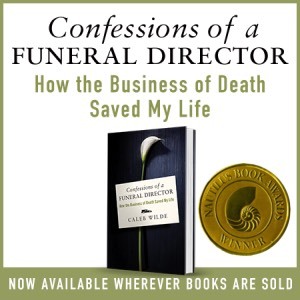 I’ve been in this business for years and we’ve buried many people who have committed suicide without the public EVER knowing. If the family we were serving wished for it to remain a private topic, it was kept private by us and by the authorities. Suicide is SO complex. It’s not easy for anyone to understand and so there’s times when privacy is the most psychologically healthy way to approach a death by suicide. Because while suicide isn’t easy to understand, the VERY LAST THING the survivors need to experience is judgment of any kind from others. Twelve years ago this month, I lost my Uncle Jay to suicide. This man, who took his own life, was a survivor in every sense of the word. I imagine that such is true of many who leave the world in this way. But not everyone is so compassionate towards those who take their own life. Not only have we been told the manner of Williams’ death, we’ve also been told the cause (hanging). Why? Why? Why have we been told this? Suicide through overdose, gunshot wound and carbon monoxide asphyxiation are considerably timid forms of suicide when compared with hanging. Overdose, gunshot wounds and carbon monoxide are one step methods that sometimes result from impulsive moments of considerable darkness. But, hanging oneself. This is a whole different method of suicide. In many ways, it is the most premeditated form of self-murder. Suicide by hanging is a statement suicide. Suicide by overdose and gunshot is usually an “I just want to end it” method … not so with hanging. And all this gives more reasons why Williams’ death is so complex and complicated. This sacredness of grief is the reason so many of us hate the Westboro picketers, who picket the funerals of fallen soldiers, and any other funeral that can grab them some limelight. We dislike what they’re doing because it transgresses one of the most sacred aspects of both our love and our humanity: the grief that comes from the loss of personal love. I believe transparency is helpful. But, in times like this, privacy is what Robin’s family and friends need and deserve. And I wish they would have received it. I, for one, hurt for his wife and kids and hope they find the space, compassion and love they so desperately need. This entry was posted by Caleb Wilde on August 12, 2014 at 4:14 pm, and is filed under Celebrity Death, Suicide. Follow any responses to this post through RSS 2.0.You can leave a response or trackback from your own site.